Newcastle Gateshead has been given the green light for funding to help build a 3,000-delegate conference, exhibition and events centre. The Arts Council England has provisionally agreed to give Gateshead Council £10m towards the £30m project, which would be built on land next to The Sage Gateshead, currently used as a car park. Gateshead Council chief executive Jane Robinson said: "Our ambitions to move the regeneration of Gateshead Quays further forward are well known. This facility will be the keystone of the next big leap forward in our visitor economy." 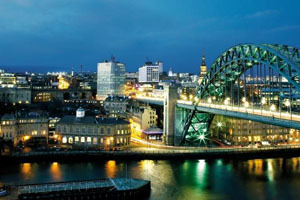 Newcastle Gateshead Initiative chief executive Sarah Stewart added: "This is very positive news. It will strengthen our ability to attract larger exhibitions and conferences from across the globe, with the meetings industry already contributing £277m to the local economy, supporting 6,200 jobs in Newcastle Gateshead alone."